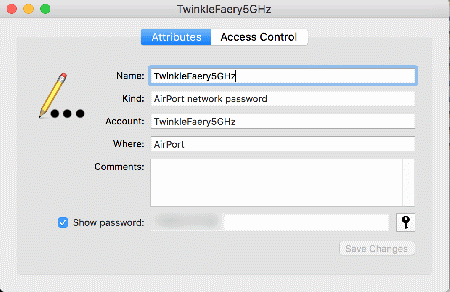 If you have previously connected to a Wi-Fi network from your macOS computer and need to know the password again, you can view it using these steps. 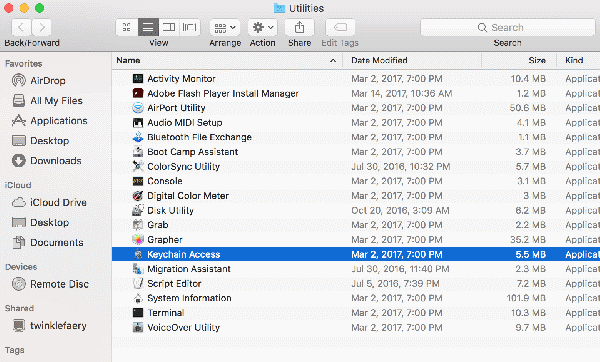 From the Finder, select “Go” > “Utilities” > “Keychain Access“. Select “Passwords” in the left pane. 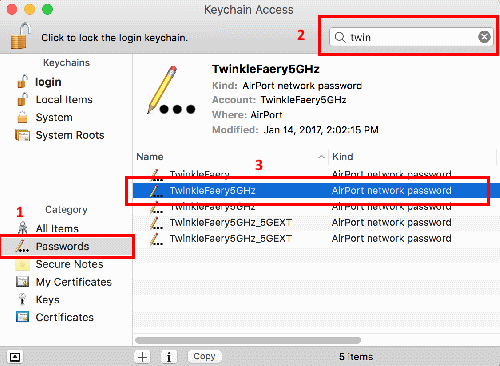 Use the search box located at the upper-right portion of the window to type the network name (SSID) of the network for which you need the password. Open the network name in the list. Check the “Show password” box. 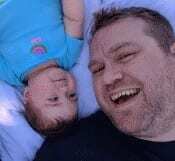 Type the credentials for an account with admin privileges. Be sure to note the username you use. Once entered, you will need to enter them again, but the username field will be blank on the second authentication.